Our interview with talented actress Lisa Linke who is best known for her role on Successful People, a comedic web series about a songwriting duo struggling to make it big surrounded by a world full of successful people. She plays Kimberly Hawkes, the past high school classmate of the lead character, who attempts to help him jumpstart his career. The show is streaming now on Amazon Prime. 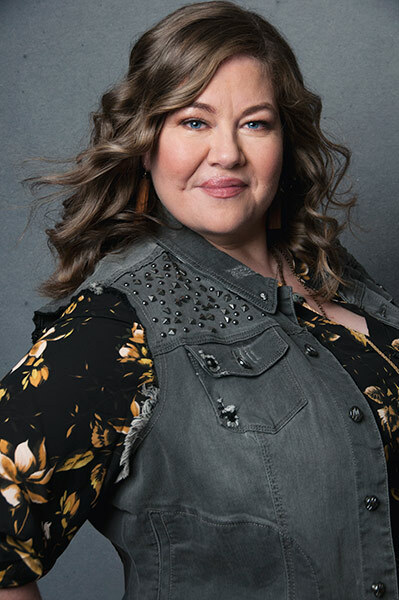 Linke has also lent her talent to a variety of hit television shows including a recurring on Teachers as well as appearances on Black-ish, Shameless, and most recently This Is Us and Modern Family. Her recent projects were mentioned in The Hollywood Reporter “Rep Round-up Sheet”, which you can read here. Things aren’t slowing down for Linke. She can currently be seen in the highly-anticipated Netflix series LOVE which is streaming now. Hi there! I was born and raised in the Midwest and have been living in Los Angeles for five years now. I’m an actor, writer and improviser, and I love making people laugh. Probably my mom! She’s always been encouraging me and my performing since day one. Other than that, I have this incredible group of friends that support me in obvious and subtle ways, and are always there when I need support of any kind. Anything but typical! I have a varying schedule because an actor’s life is all about hustling to get the next job, while keeping current gigs afloat and trying to make more art in the process. I usually get woken up by one of my dogs, Zoey, and then that gets the day started. After some breakfast, I get to doing admin – catching up on emails and doing work – I teach comedy writing for a few online classes – then I get to errands or rehearsing or prepping for auditions. Then I teach in the afternoons or evenings, or go to class myself. Somewhere in there I’m prepping to make new content. Whew! I’ve always been a performer, doing shows and plays and being the person who would always get up in front of people, but I started studying improv earnestly after joining a club in grad school. After graduation, I was living and working in Chicago and studying at The Second City seemed like the obvious step, and it’s been improv and performing full time since the summer of 2001. 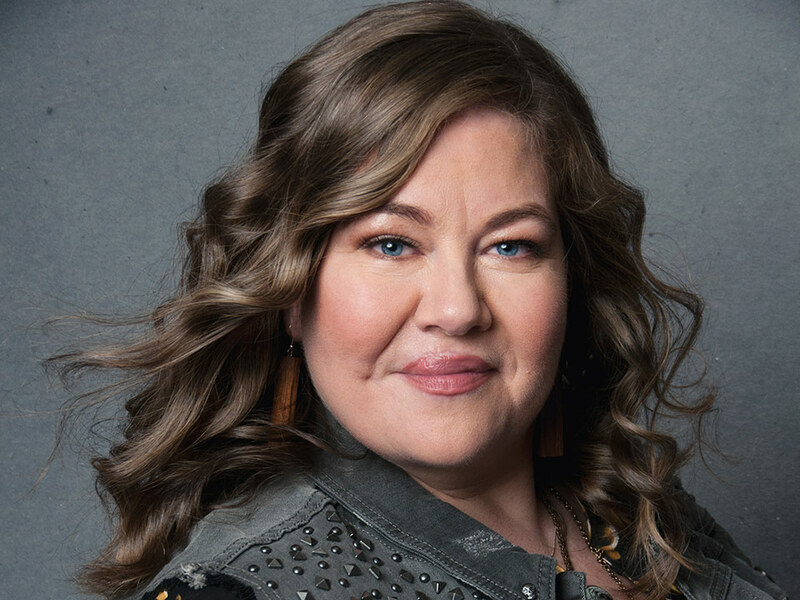 Tell us about the Amazon Prime web series “Successful People,” and about your role as Kimberly Hawkes? Ah! Kimberly Hawkes is the most annoying woman on the face of the earth, and she is super entitled, to boot. So, she’s an absolute dream to play! She is loud, brassy and has zero filters. Zero. God, I love playing her. My friend Artie O’Daly, who wrote the shows season one with Theresa Ryan, brought me in for one episode. We had so much fun shooting the episode that for the second season, they brought me back as a series regular and we had even more fun on set! Tell us about your appearances on popular shows like Black-ish, Shameless, This Is Us and Modern Family? Those were great days of work! I worked on Shameless while I still lived in Chicago – they shoot exteriors there – and it was my first real taste of TV production on a big-budget scale. I absolutely loved it and wanted to do it more. I find that is the best part of working – you get to see how different sets run, and you just want to keep working more and more! You were most recently seen on the Netflix series LOVE. What was that experience like? Ah! Such a dream. That set was wonderful and playful and we improvised a lot – which is so much fun for me – and I had a truly great time. Tell us about the webseries Dog Moms that you created. I play Waggy Lee Miller, the world’s best dog dancing teacher. It’s a parody of Dance Moms on Lifetime – which I hated myself for watching because it was always so stressful for those young girls! I don’t have kids but I do have two dogs, and if anyone caused them emotional distress I would make sure they were out of the picture. If anyone had a TV show that focused on that stress, I would make sure they were off the air. So. I basically made this series as a punishment for myself because I loved a terrible TV show. Get into a class right now! And stay in class. You need to be constantly working on your craft. What was it about comedy that made you think, this is where I belong? Hmmm. That’s a really good question. I think my Grammy was always telling jokes and made me laugh, and for some of us, making people laugh is better than any drug out there. Once you do it, you just want more and more and more. Do you practice your acts or always improv? You have to be a professional actor – which means knowing your lines – and so I’m always off book. But if that set wants to improvise around the script, that’s 100% comfortable for me, too. What is next for Lisa Linke in 2018? Ah! Great question. I just released Dog Therapist, a micro-web series that explores that theme and is super fun. There is a Disney TV show this spring/summer that I have a guest star on that I hope will be released sooner than later! And I have more content I want to create. Always. I mean… I’m always talking about Dog Moms Season 2. Hmmm… What’s clean? Just kidding. I would say when I intentionally dress for an event, I like to bring a sense of who I am, so I’ll mix harder elements in with soft. Like a gorgeous, flowy top with jeans or a bright dress with a leather jacket. Too many! I have trouble picking favorites. I am loving Danai Gurira on The Walking Dead and in Black Panther this year! She’s amazing. Focus on your own work vs. comparing yourself to others. You’re lucky. I HATE picking favorites, of anything! But I do have one favorite song. “Signed, Sealed, Delivered” by Stevie Wonder. I don’t know why that’s my favorite. I think because I never get tired of hearing it, no matter where I am. These are really deep questions! Again, I hate choosing favorites. This is tough. I think I might choose Susan B. Anthony, and tell her about all the women running for office this fall. I think that would be cool. What would be your dream holiday, and who would you go with? I love Paris. Like, I love Paris so much that I have never been to Italy because I can’t not go to Paris when I’m in Europe. So, I’d love to go to Paris with a man and spend two weeks in the Latin Quarter in an Air BnB, and just live like a Parisian. Walk around, people watch at cafes, go to Montmartre at night and cuddle while looking out over the city, share a pain au chocolat, share an umbrella in the rain… Paris is so gorgeous. And I’ve been there when it snows – which is rare! But to be in Paris when it snows with someone you’re in love with?! Ah. Come on! Anyone who stands up for what is right, wherever they are, no matter who can see them. I mean, there’s a theme here, but I can’t choose favorites, so I listen to everything. After this last weekend’s slaying of Coachella, I’m probably going to be back in some serious Beyoncé action. For a while. I’m amazing at organizing other people’s stuff. Reading the LA Times on the deck with my pups, drinking decaf cafe au lait and listening to music. It’s not hot, just warm and there’s a lovely breeze. Then I meet friends for brunch and go to a rehearsal and watch John Oliver later that night. Yes! Thank you for asking. Here in Los Angeles, I am involved with Downtown Dog Rescue, which uses a different model of rescue than most traditional groups, and I love it. I also love to find a classroom to support through Donors Choose, and getting thank you notes from the children is the best. And I sponsor a pig named Horton through The Gentle Barn. I love reading his updates and seeing pictures. And I always give to my local NPR stations, which technically isn’t a charity, but I feel everyone should do it because the quality of their long-form reporting is awesome. What do you think of Social Media and how do you use it to interact with fans? Social Media is still finding its feet in terms of balancing privacy with interactivity, and those are growing pains we’ve kind of agreed to by having “free” programs and apps. But! I do think there is a lot of power in Social Media – as a tool to spread information (with the consequence of misinformation) and to invert the typical power structure where a few at the top control the flow of information. When I see the power of twitter during the Arab Spring or see how people can spread awareness through movements online – it’s powerful. That being said – people who spread hate have equal access to social media, so I’m curious to see what the long-term evolution is of how these companies survive. Whew! That was deep. I love social media as a way to stay connected. I use Twitter to talk about politics, I use Instagram to show my life and my dogs, I use Instagram Stories as a way to show what’s happening with me day-to-day, and I use my Facebook Page to keep people up to date with shows, performances, any content I release, etc. Celebrity Crush: I think Matt McGorry is the ultimate woke bae. Sport Team: USA Women’s Soccer. I don’t really watch soccer, but I just spent the other day helping white men on Instagram understand that the wage gap exists, it is not a myth, and sports is not an arena where men should inherently be paid more than women… Primarily USA Women’s Soccer. jkjk you know my favorite song. But! I also am listening to “Cranes In The Sky” by Solange on repeat right now.